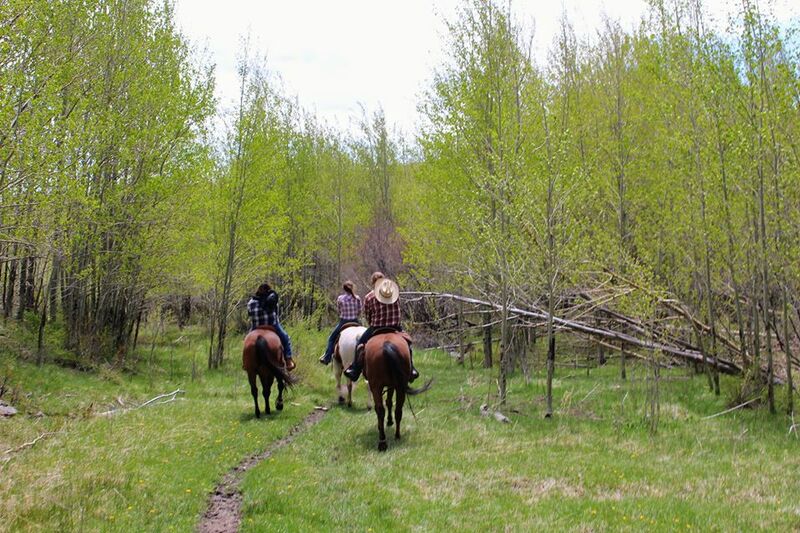 Elin, owner of Sangres Best Meat, running her horses into the lower meadow. The only ranch retreat designed by real Colorado women ranchers! 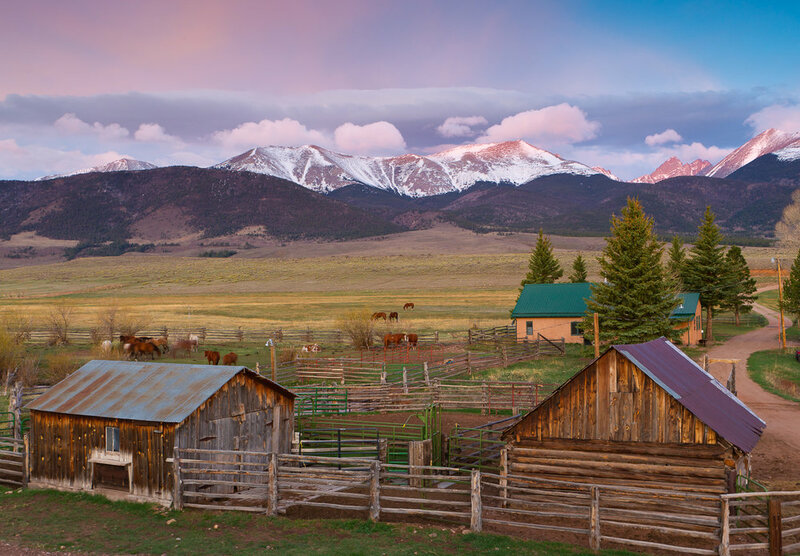 Our Colorado Ranch Retreats is the only retreat that will take you out to an authentic and real ranch life experience. And it's owned and guided by ALL WOMEN! This ranch has 4,000 acres of land and 25 to 30 head of horses. 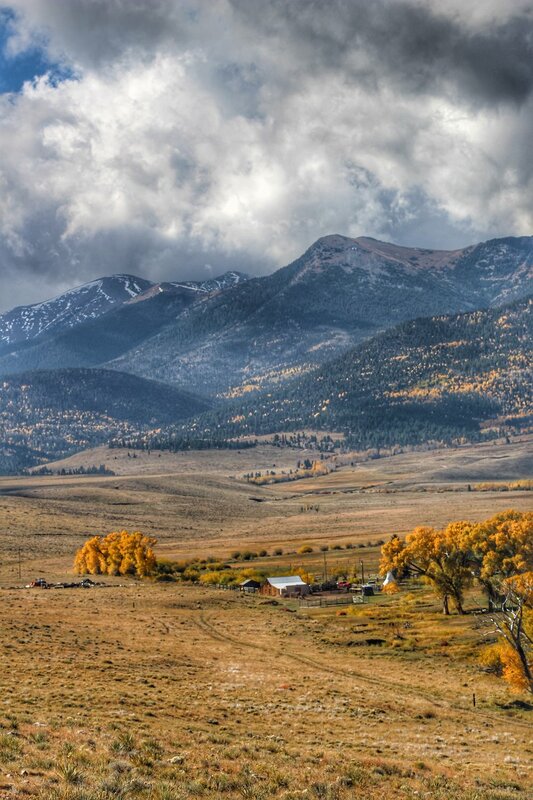 Music Meadows is a famous area and some of the most scenic in Colorado. You will meet the owner of Sangre's Best Meats, Elin Parker. She is a world renown horse trainer and teacher of the equestrian arts. 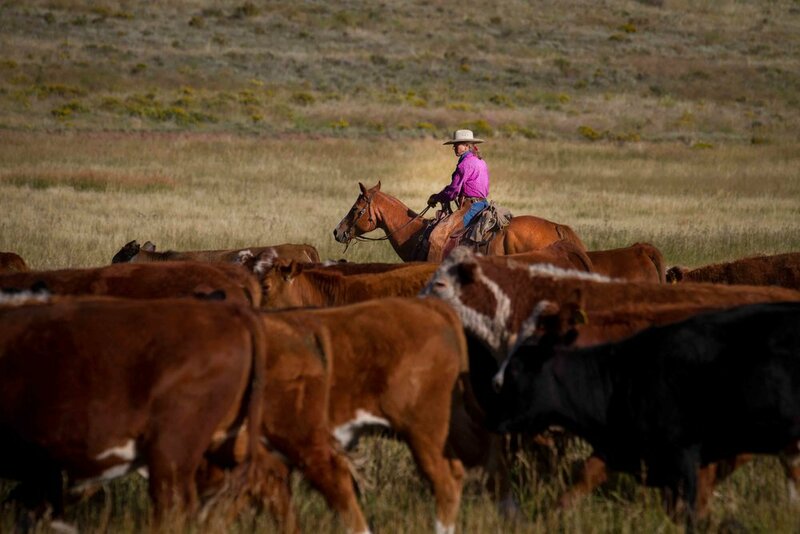 Learn about and participate in real sustainable ranching agriculture. Explore the mountainsides on horseback and see amazing wildlife, learn to fly fish while catching huge trout and much much more. 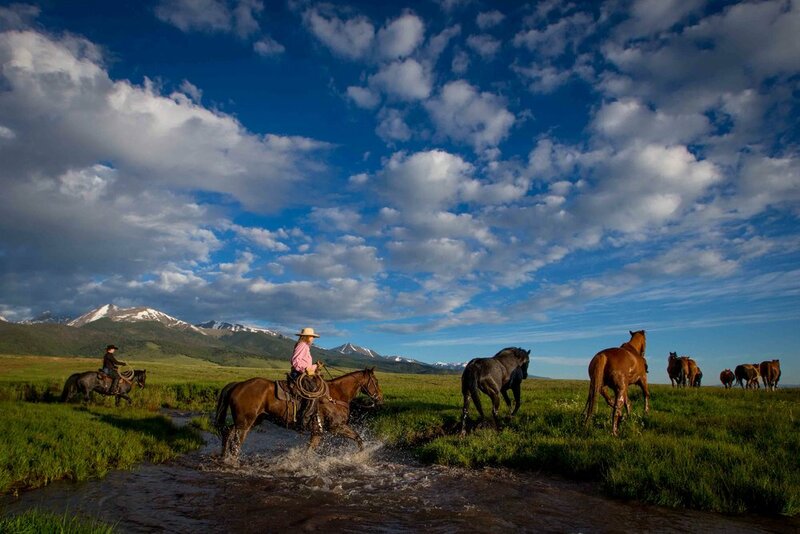 Get connected to yourself through exploring the remote mouatins of Colorado on a real ranch. Grab your boots girls and get ready for the yoga retreat of a lifetime. This retreat focuses on Yoga and the Human-horse connection. 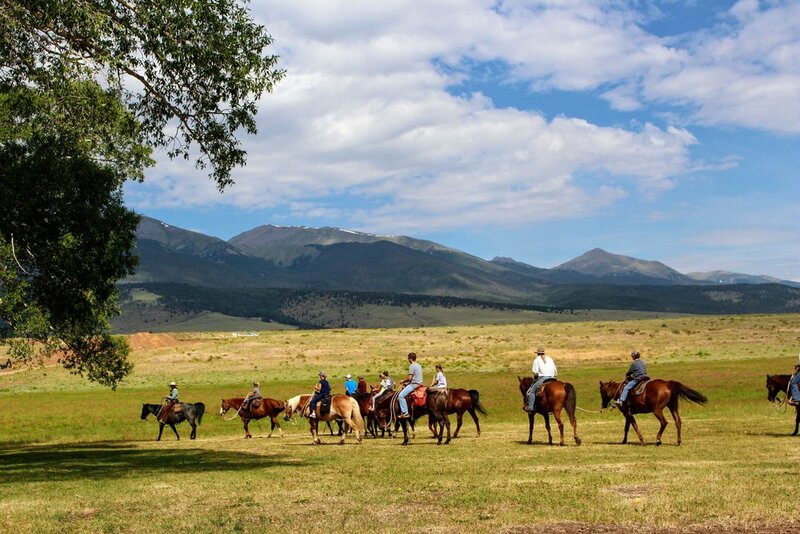 Horseback riding with a 360 degree panorama of the Sangre De Cristo mountain range in the healing energies of the San Louis Valley on a real working ranch. 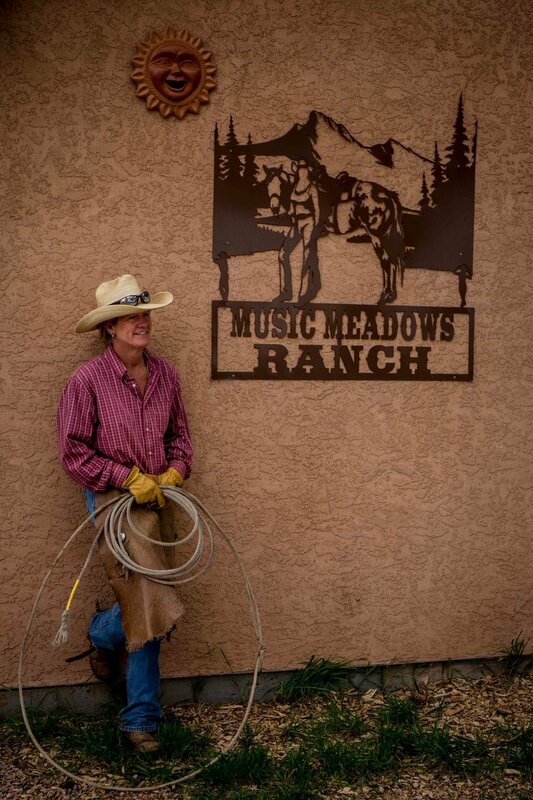 Whether novice or experienced this is a ranching retreat you don't want to miss. We have 25 head of incredibly well trained horses you will be personally paired with, with the emphasis on learning to connect with your horse individually. You will see real ranch hands in the field working and (may even be asked to help). A Gourmet chef will be on hand to incorporate all your meals and pack lunches, all sourced raised and sources organically and locally from the area. Relax, rejuvenate with a sisterhood that will empower you to learn skills you never thought possible. 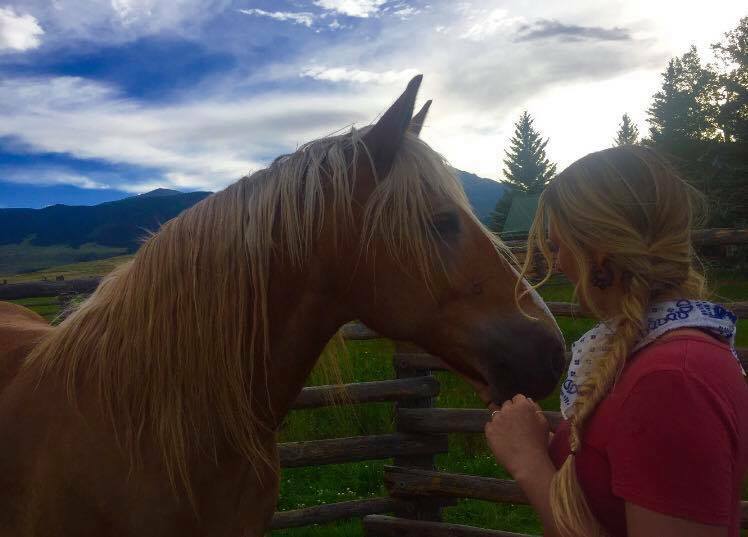 Wild Woman's 4 day retreat is open to women of any skill level who wants to pursue confidence with firearms and horsemanship on a real working ranch. Oh, did we mention, this is an all women owned and operated cattle ranch! Become inspired by the truly strong women who will guide you on horseback across the famous Wet Mountain Range, participate in and learn firsthand about sustainable grass finished agriculture. No matter your experience level with horses, our women guides will build your confidence and improve your current skills while you experience exclusive access to areas of the Wet Mountain range few get to see. 25 head of horses on over 4000 acres of remote beautiful property. Firearm training will take place in scenic remote areas where women will get to familiarize themselves with a variety of firearms, learn about firearm safety and have the chance to get their concealed carriers license. The current gun laws can be confusing to just about anyone who doesn’t have a law degree. You will feel well versed and confident in the “know your rights” gun laws of your home state as well. Guests will also have the option to get their concealed carriers license If you don’t already have it. A sunrise saddlebag breakfast ride to beautiful beaver pond pasture for remote relaxing sunrise yoga. Lodging includes a cozy historic cottage located on the property that sleeps up to 10 and all meals created with all local and organic ingredients from the surrounding area. This trip is exclusive to only 10 guests. This trip includes our very own "Hootin' Annie" Barn dance with live music! If you are looking to improve your horsemanship skills or have never even ridden a horse but you have always wanted to learn, then this trip is for you. 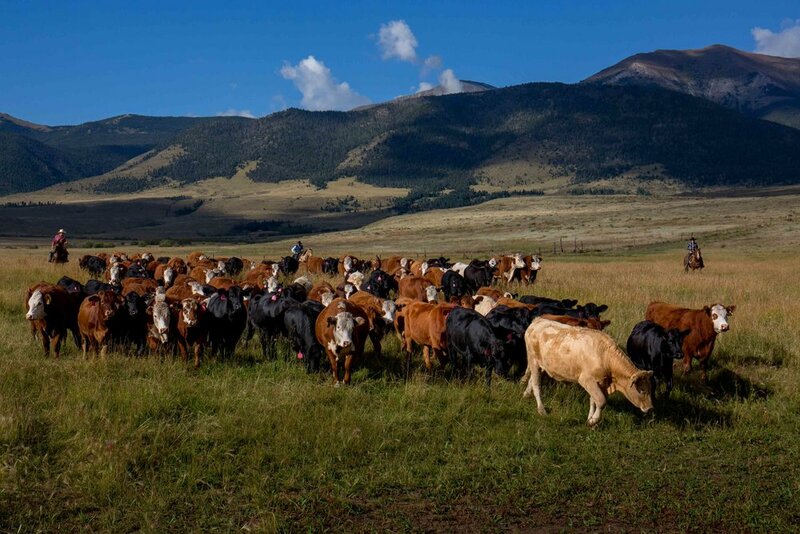 Imagine 25 head of horses being herded across the pastures towards the corrals where you will get to watch and learn from the owner of the ranch, Elin Parker, how to connect with your horse. 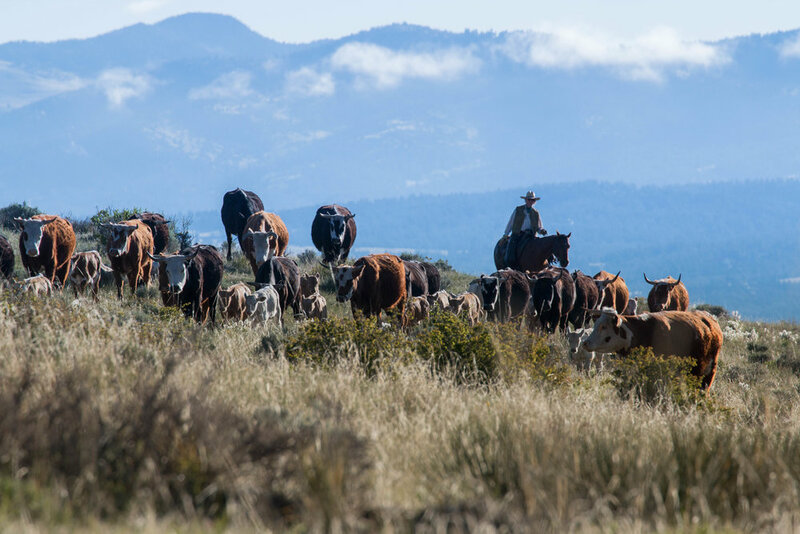 This is NOT a dude ranch, this is a real working ranch owned by all women, and therefore you will get to ride side by side these magnificent ladies as they guide you throughout the hill of their 4000 acre property. This trip is fully participatory so you can expect to be saddling and caring for your own horse, pushing cattle through endless acres, and learning about sustainable agriculture. You will get to work on the foundation skills and/or improve the skills you currently have through Elin Parkers horse training lessons. You can also expect amazing destination rides which include a Sunrise rides into a remote pasture to have a saddle bag breakfast and practice meditation or do yoga. A scenic ride into beautiful hidden waterfalls, fly fishing up at the trout ponds (lessons available) and amazing all locally produced and organic gourmet food. Bond with other women as you explore the countryside on horseback because this trip is ALL about horses! p.s This is a wonderful time to catch the beauty of fall in Colorado as the leaves will be turning at this time of year. Be Prepared...Click below for trip preparation. Home away from home...Where you'll stay! We have a beautiful historic cottage that sleeps 10 guests as well as an outdoor insulated Tee Pee to sleep four. All modern amenities are available, except cell phone service (haha!). 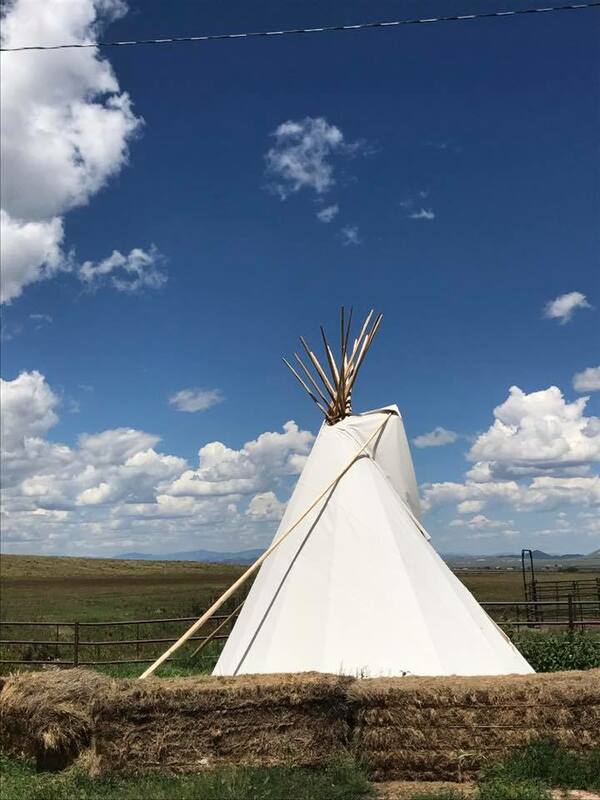 The cottage overlooks the open pastures of grazing cattle, roaming elk heards, and is close to the pasture where all the horses run wild , and free until its time to saddle up and ride.